WE HAD MUSIC, WE HAD SPACE, SO WE HAD SOMETHING TO CELEBRATE. 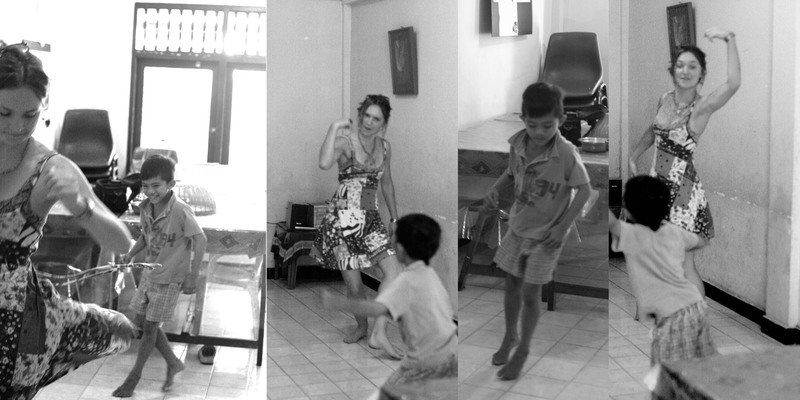 Dancing to Mary Mary’s “Shackles” at an orphanage in Kuta, Bali. I dance because when I am relaxed enough to feel creative, it comes naturally: to put the excitement, love, fear, pain, boredom,repetitiveness of life into movements. I dance with people because I like to be part of someone’s movements to compliment an artist’s music. this little boy wanted to be part of the movement that complimented the music. he copied with great detail my un-choreographed ballet moves. Dance is Diversity, an reaction to music, and like music, ever country and culture has their different adaption.